Sawyer is the youngest boy cousin in our family. He is playing tackle football for the first time this fall. He is just so cute in his uniform! Can you believe I shot this at f/32? 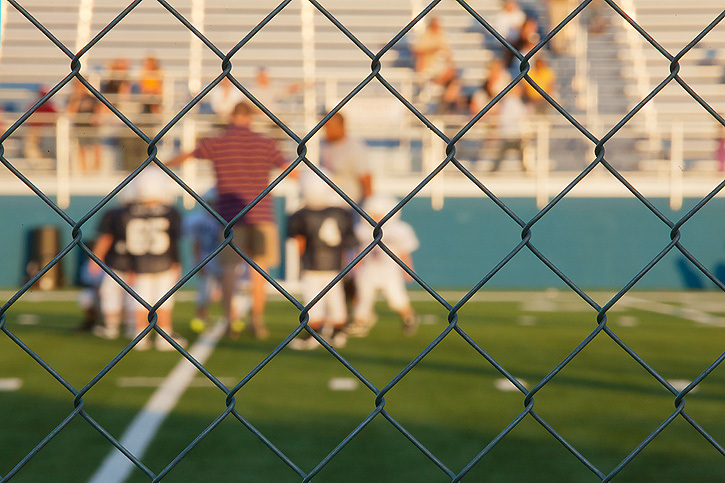 I don't think I've ever used such a small aperture before, but this time it was required so that the little football players wouldn't be too blurry. I manually focused on the fence because my auto focus was having a hard time finding it. Here he is carrying the ball. He did an awesome job! These are great and he's adorable. I had two little boys once upon a time, and now they are big boys. I miss those days, too. How cute is he in the football gear. I now have 2 girls driving in this house and my youngest will start next year. Scary!!!! Could they be any cuter in those uniforms!! REminds me of the Leave it to Beaver movie! Congrats on the new driver!! This was a fun post. Two boys growing up but at very different stages! I can't imagine what it must feel like to see your "baby" driving off without you. Yikes! Your focus on the fence shot was so spot on! I struggle with shots like that. 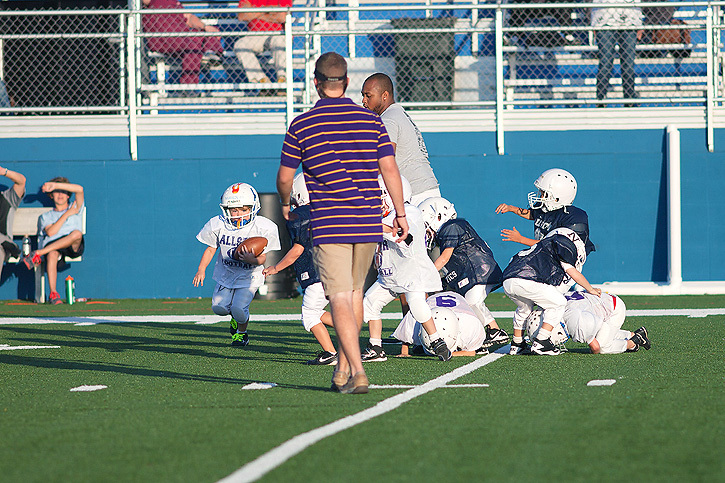 Those are some exciting firsts, however I gotta say the little cousin playing football, is adorable! Oh my goodness!! I love the football shots! Sawyer is soooo cute! Yay for Alec getting his drivers license. I am sure it is scary though. Not looking forward to that. Ha ha! Sawyer is pretty lucky to have such a great team photographer! Darling shots. Grats to your new driver, too!! LOVE the mini football players! Can't get cuter than that! Delicious photos, charming and fun. Deb I love these pictures of your boys! They are so cute, and it is so wonderful that you are capturing their lives like this. These will be precious to you in the years to come. I have a grandson who is 9 and enjoy photographing him too. very nice. Have a super day! I just love the first picture. You took us right onto the field with him! He is just the cutest little boy. Congrats to your son!! A whole new world ahead. WAy to go Alec and Sawyer. He looks so little with that football helmet on. These are adorable - I love the second shot. He looks so tiny with all that padding one - very cute too. 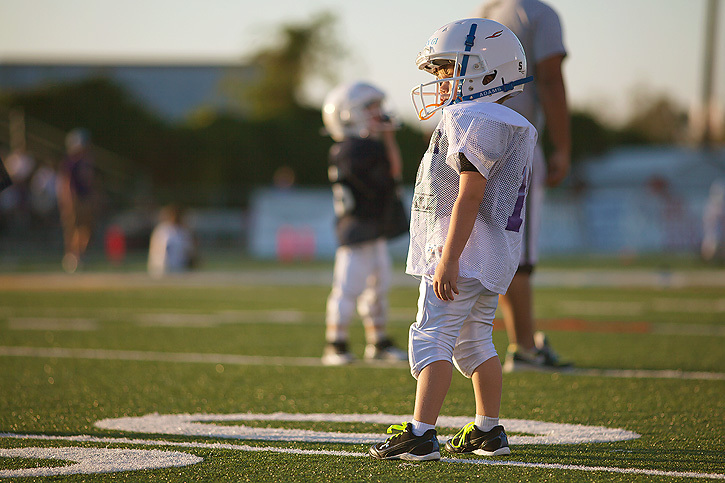 Cute doesn't even come close to describing that little football player! I also love the fence shot and thank you for the photography tips. That must be a very odd feeling seeing your children and family members driving on their own - you go from grabbing their hand whenever you cross a street to this. Lovely photos as usual - really like your first and third shot. Awww, so small but oh so cute! And yep, my daughter got her license about 5 months ago and I might have cried just a teensy bit when she left the house by herself for the first time!! 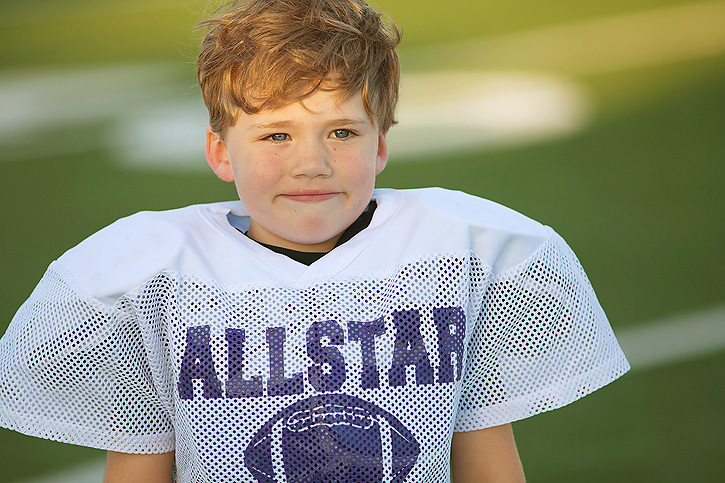 And I think the cute factor just gets bigger as they grow when it comes to those football uniforms! Seriously cute football players. Congrats on the licenses. How cute! Love the field pictures. So fun. He is SO CUTE! 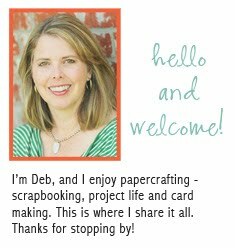 What great shots Deb! Oh what fun pictures from the football game! I love this post - the story, the photos, the feelings. And the fence photo....you nailed it. Excellent! 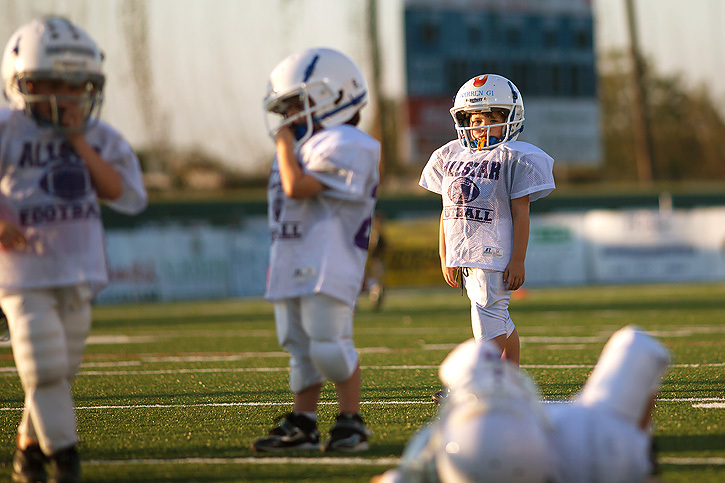 How cute are those tiny football players? 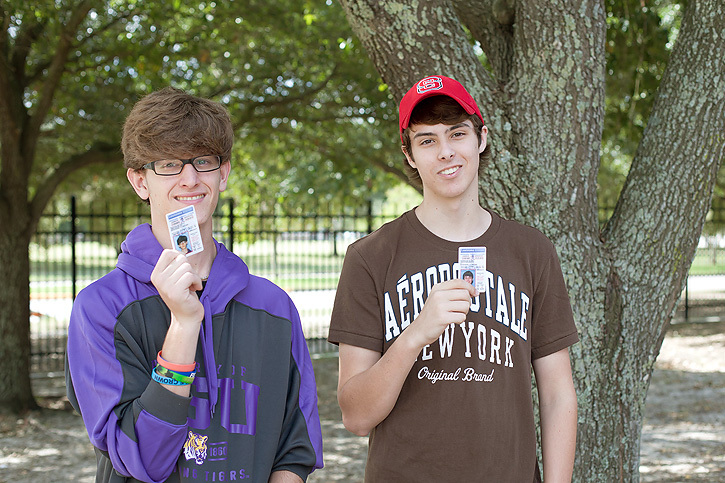 :) And love the milestone license photo!